Amidst the Salem water crisis and hot summer nights towards the end of July, 35 of Oregon’s young leaders in Child Welfare advocacy gathered at Willamette University to problem- solve challenges within the foster care system at the 2018 Policy Conference. These youth and young adults worked together diligently, and in the end, they presented 10 policy recommendations to over 200 child welfare professionals, legislators, and community members at their 2018 Policy Luncheon- including Governor Brown’s Human Services Policy Advisor. Since then, OFYC’s 2018 Policy Recommendations have been shared widely. OFYC members quickly got to work, meeting with the Child Welfare Director, Marilyn Jones, and many of the Child Welfare Program Managers and District Managers. Children First for Oregon’s (CFFO) policy team has also been sharing these recommendations with legislators and others who are working on topics similar to the ones discussed by OFYC members. 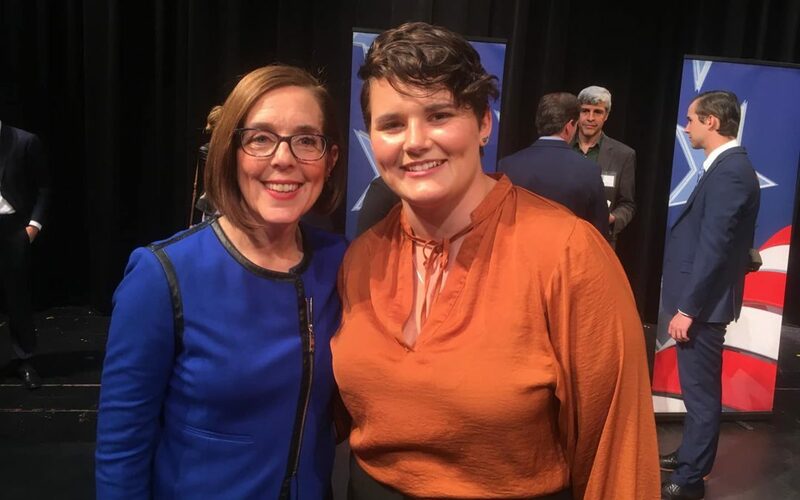 Last month, OFYC was given a huge nod of recognition and respect when Governor Kate Brown and her staff included 6 of OFYC’s recommendations in her Child Welfare Policy Agenda, after hearing OFYC members present their policy recommendations at the Luncheon in July. You can read the Agenda in full detail HERE. 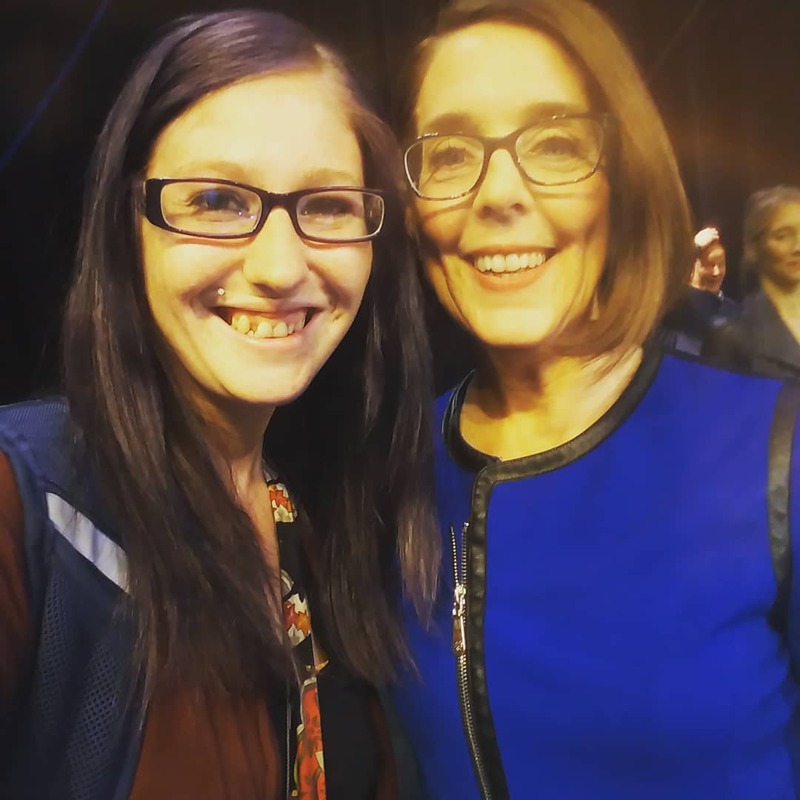 Governor Brown also makes youth voice a major priority and talks about it specifically within the framework of DHS: “Elevate child and youth voice in case management and program development. Oregon’s child welfare workers prioritize keeping children safely at home, or finding children permanent loving families, but some youth do remain in foster care until they age out. For these youth, we must focus on meeting their developmental needs so that they have the best chance of success in adult life ( Brown, 2018).” And she wants to do this by supporting the programs that support youth and youth voice — like the Independent Living Program. Create a foster parent resource center. The Governor directly credited OFYC and it’s members in her Children’s Agenda for this recommendation. This is youth voice in action! Congrats to OFYC members for making their voices heard. We can’t wait to see all the ways that the 2018 Policy Recommendations create positive and sustainable change for youth in care.